The pictures that you see have long held my imagination and thought for at least the last three decades for I was not born when the book was gifted by an aged Tamil scholar to another both of whom were eighty years old then. The book was first released ten years before that, in 1956. 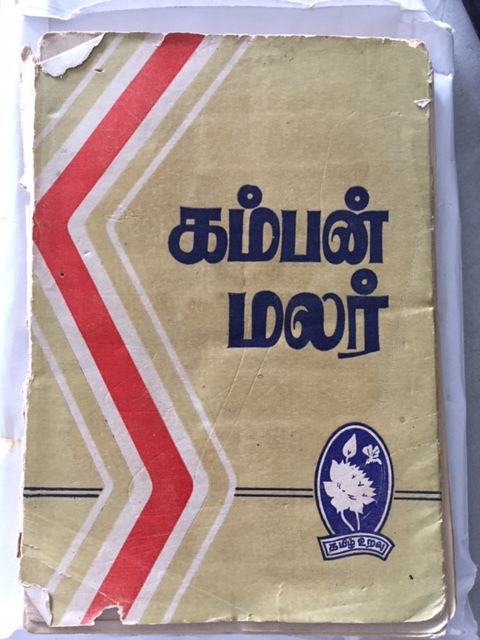 This book was released to mark the annual literary event held to remember the legendary Tamil poet Kambar (AD 1180 – 1250). He had written the great Indian epic Ramayana in Tamil. So, the book was a compilation of articles and speeches by the then eminent scholars of 1956. I have never met them or seen them. Nor have I interacted with them. 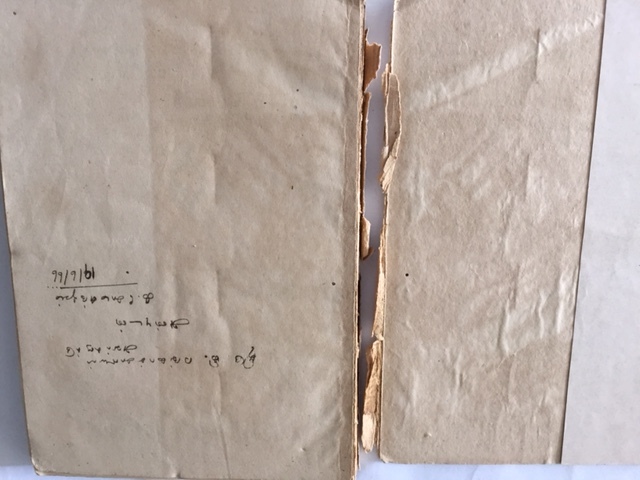 This book was in the attic of my late uncle who was himself a Tamil scholar. I was cleaning his old house in rural southern Indian town of Mayiladuthurai when I came across this book. The moment I held the book in my hand, I was transported back many years in history. I had then thought about the poet Kambar, then about his book, and about the different people if yore who would have had researched and written about the poet. Then my thoughts had drifted to the year 1956, the way the annual function would have been held and the manner in which the book would have been released on the day of the function. Travelling forward from 1956, I had thought about 1966 when another scholar, who had read and enjoyed the book, had gifted his copy to another scholar. I didn’t know how the book had come to be in my uncle’s custody. Having been a scholar himself, the 1966 recipient should have given it to my late uncle. And I was having the piece of history in hand and trying to re-live history. I had felt my vision blurred when I realized that was due to tears. Now, thirty years later, when I hold the much weathered book in my hand, my vision is still blurred, again due to tears. Thanks Damayanthi for this fantastic opportunity to relive my past. Next Article Hit the ground running, anybody ? So glad you were the one to find the book, someone who appreciates it worth. Thanks for sharing it. Have u written in Tamil?